In the early days of backup IT had to restore data to an identically configured server. That meant IT often had to buy extra servers, set them up identically, and keep them until they were needed to restore a broken machine. This not only costs money, but IT ended up putting older server technology online in the event of a catastrophic server failure. 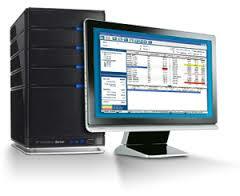 Bare Metal Recovery (BMR), also known as Bare Metal Restore, overcomes that problem. With Bare Metal Restore or Recovery, one can take a commodity server, and restore not just the data, but the supporting environment such as operating system and software. This approach automates the process of recovering a system because you don’t need to preload your backup software or OS. With Bare Metal Restore or Recovery, the data backup already includes all the software components needed to rebuild the server, and can apply these components to a new piece of hardware.